WARSHIP Remote Control Speed Boat 20 inches! 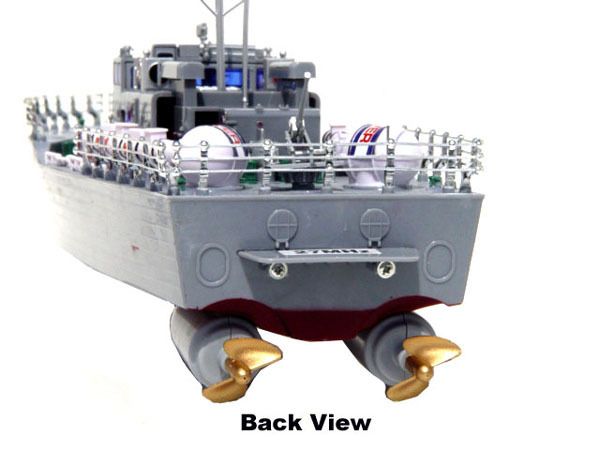 The Brand New Warship Speed Boat remote control comes in its original box. Highly detailed features make this boat one of a kind. 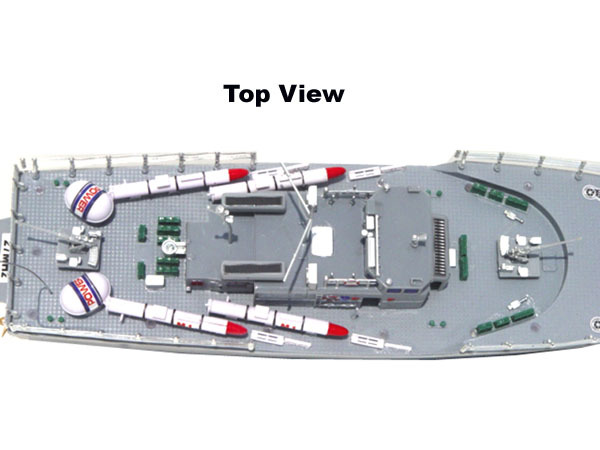 The Warship Boat comes with a high performance HT motors for super fast speeds and great maneuvering capabilities. The Captains cabin has lights which can be turned on! Also, it has a 9.6v battery and charger! Measuring 20 inches long and featuring authentic and stylish detailing, this craft is perfect for pools, small ponds, rivers and lakes. Take this fully functional reproduction of an offshore sailing boat out to the water and watch it fly! The twin propellers are controlled from the dual joystick transmitter to provide top speeds with great control.